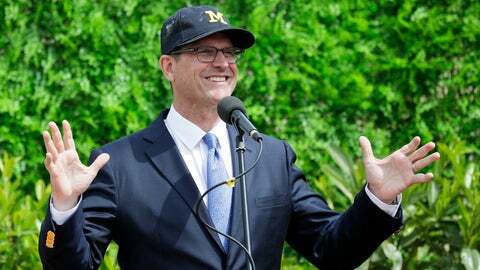 ANN ARBOR, Mich. (AP) — Jim Harbaugh is taking Michigan’s football team to South Africa in May. Like last year’s visit to France , the Wolverines will not practice in South Africa. Harbaugh did have practices in Italy in 2017. Michigan alumni Bobby Kotick and Don Graham funded last year’s trip, and Kotick paid for the visit to Italy. Harbaugh has said Kotick will pay for the tours as long as the coach wants to do them. Harbaugh has mentioned Greece, Spain and Cuba as possible destinations for the annual opportunities for his players to learn and bond. Michigan’s team, which will have a spring game April 13, will go to South Africa after completing the semester.